Uncategorized | Don't Just Live, Conquer! 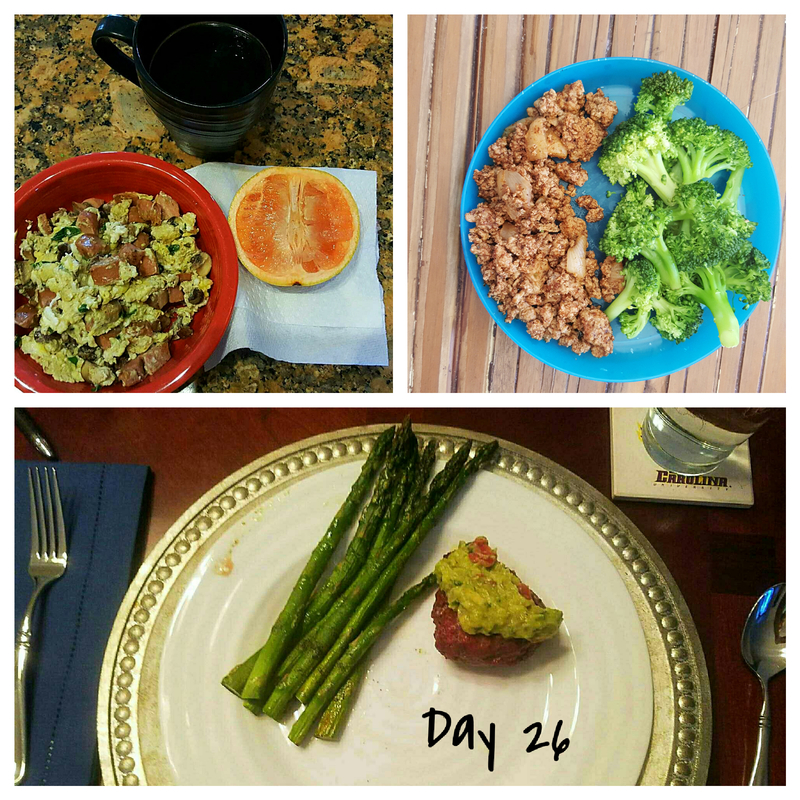 I know this is a little late but last Wednesday was officially our final day of Whole30. I can confidently say we both conquered the challenge with no cheating whatsoever. Boom! 30 days is a long time but also not that long. 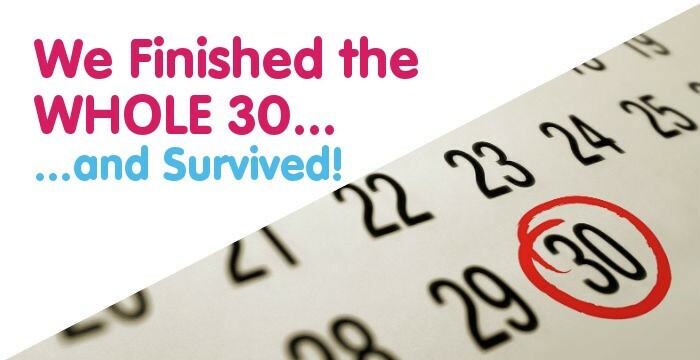 As long as you schedule a chunk of 30 days that doesn’t involve a lot of events or vacations, 30 days is totally do-able. we will continue to implement most of the “rules” especially during the week because overall we did feel better and real food is good. Costco saved us (we don’t go to WholeFoods or Trader Joes which seem to be staples for most Whole30ers. For us it was Costco, WalMart, and FoodLion so you don’t have to get too “crunchy” to master Whole30. So, there you have it. 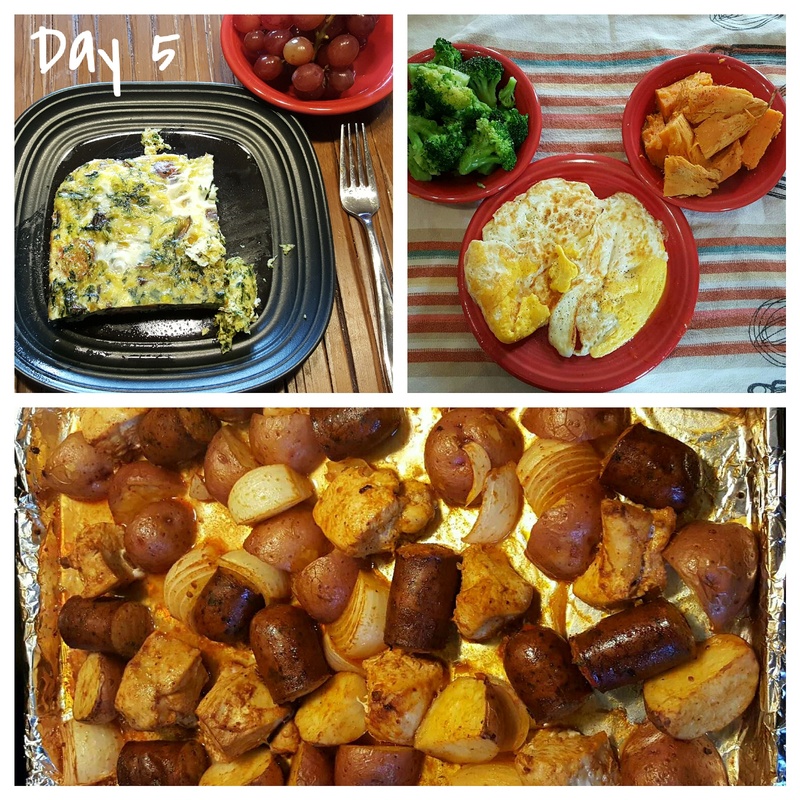 Our Whole30 journey in 5 blog posts and 30 meal pictures. 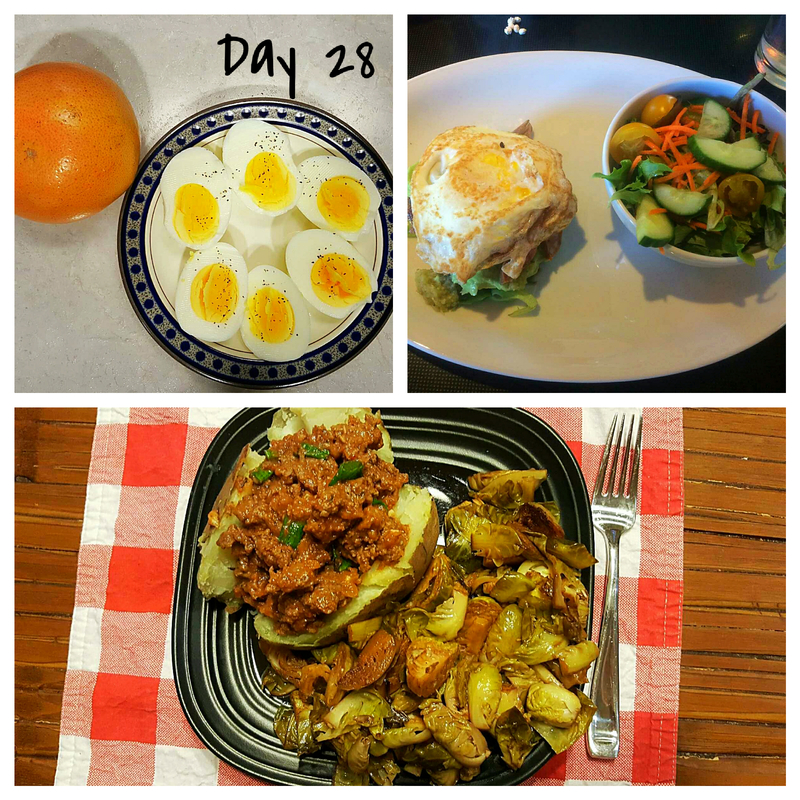 If you’re thinking about doing Whole30 on your own… I say GO FOR IT! Seriously, you won’t regret it but make sure you prepare and feel free to ask questions!! Y’all, we are so close to finishing Whole30 which also means I am so close to being 30. Over the past 25 days or so, I’ve learned to chop, dice, poach, marinate, stir fry… and other cooking terms I’m still learning… like a PRO. Most evenings around 5:00pm I look exactly like the lady in the picture above… except no bonnet and I don’t wear purple (as a rule). 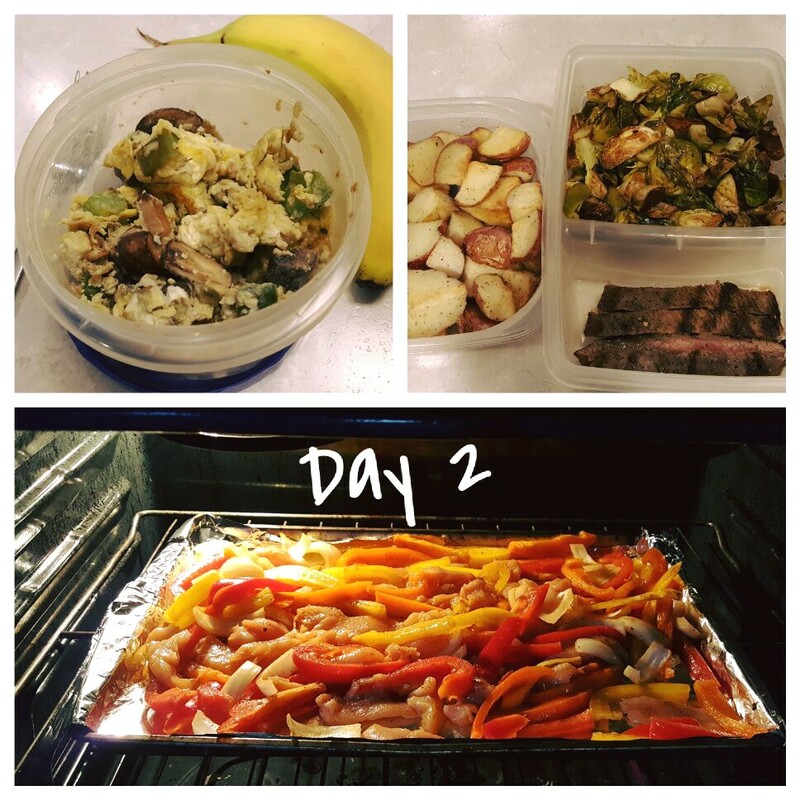 As you probably know by now, Blake takes on most of the cooking duties in our house mainly for safety and survival reasons, but now I’m fairly certain I could last more than a week without burning down the house while also preparing healthy food. 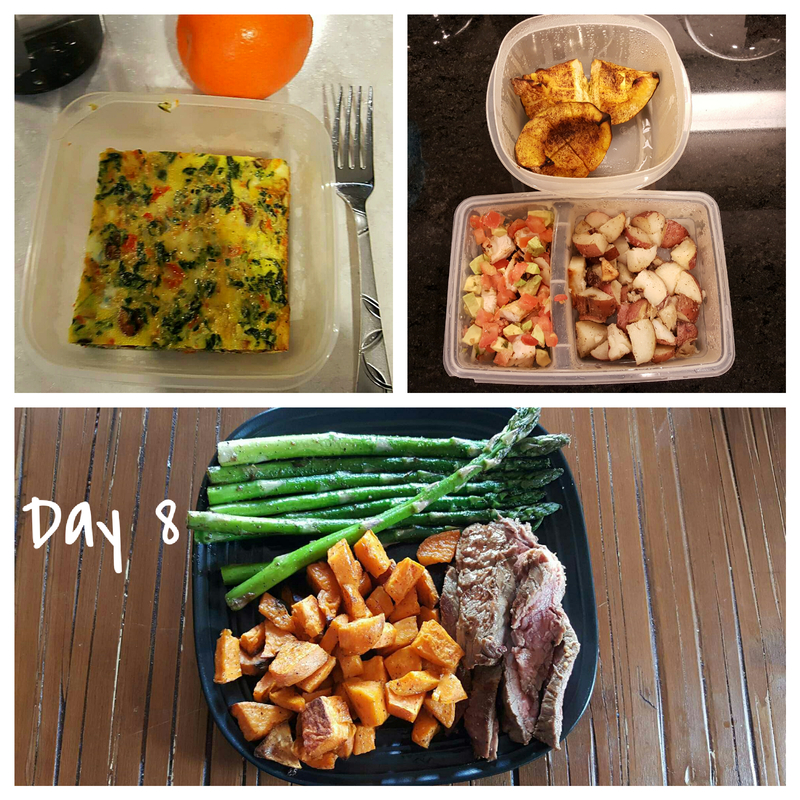 So thanks Whole30… you have sort of domesticated me (just don’t tell anyone)! 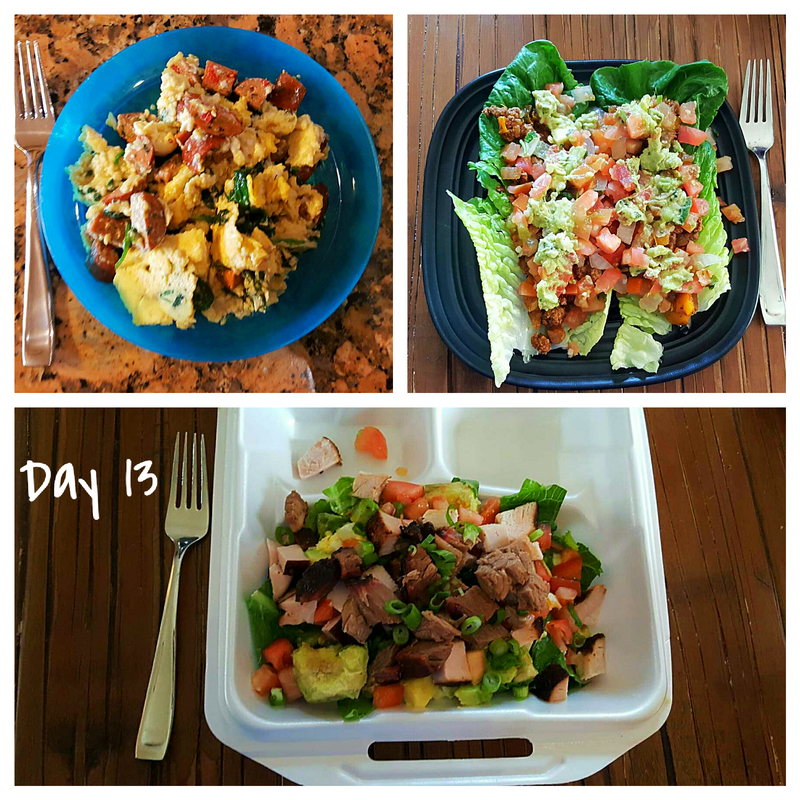 Our meals: At the start of Whole30, I vowed to be adventurous and varied in meal options.. turns out, that’s expensive. We’ve really settled into a routine of a handful of staple meals and sides. In addition to what you see below, Blake adds extra protein and at least one extra carb-y vegetable a day. If I’m still hungry, I may add an extra fruit or a tablespoon of almond butter. 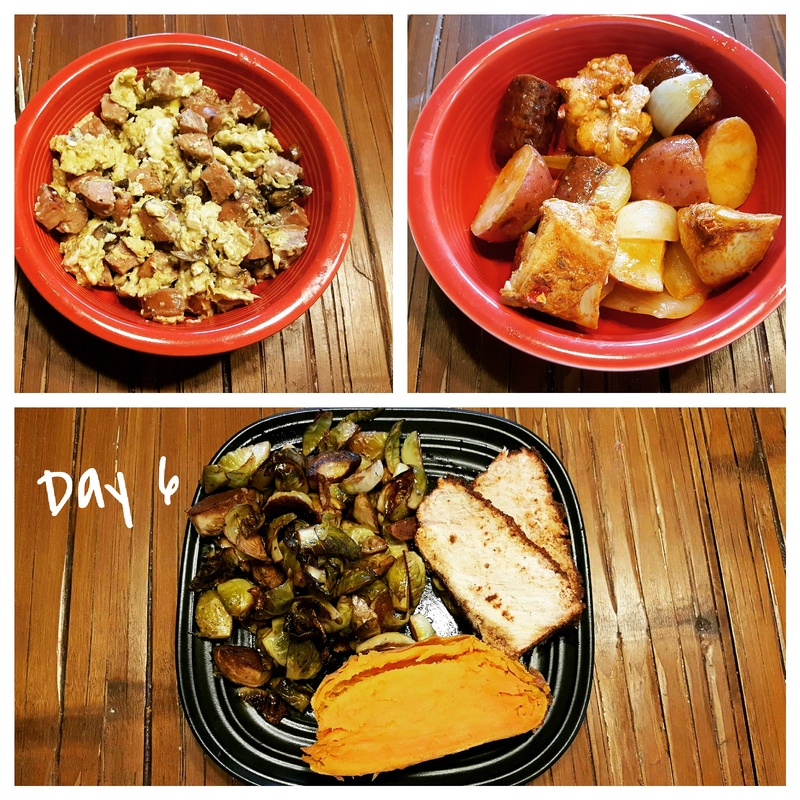 At the end of Whole30, I’ll share our basic shopping list that has sustained 95% of our meals. 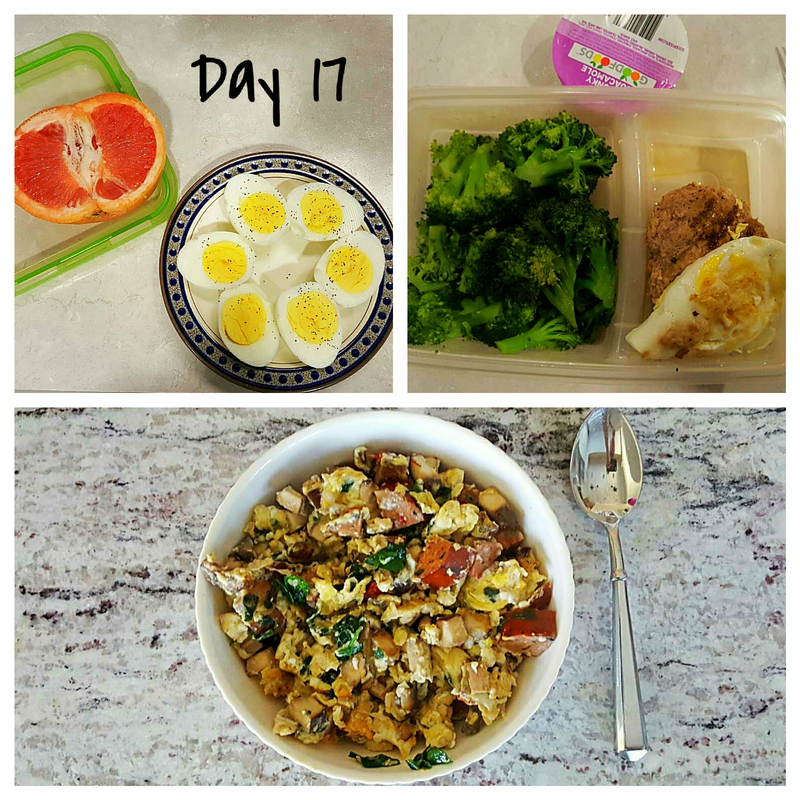 Dinner: Egg scramble (normally I wouldn’t do eggs twice a day, but my sister went into labor with baby #3 so I was on babysitting duty for her 2 and my 2 … eggs are easy. Breakfast: Fried eggs and kiwi (my sister has the best fruit at her house)! 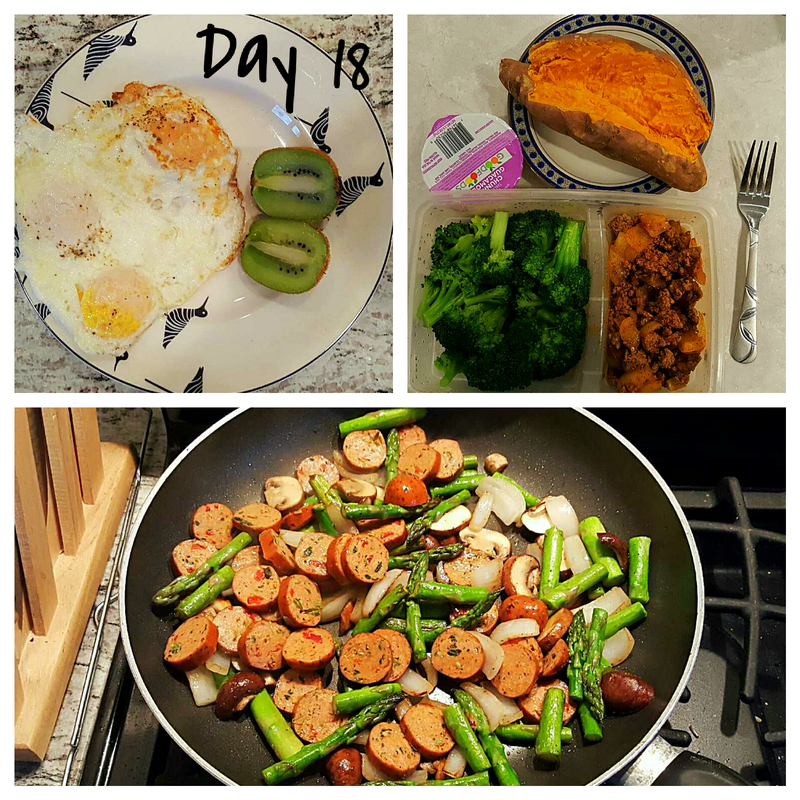 Dinner: Again, this was a “wing it” meal since I was on kid duty – literally just grabbed a few things from our fridge on the way to my sisters house – so chicken sausage, mushrooms, onions, asparagus and a little balsamic all together in a pan…. turned out pretty delicious! 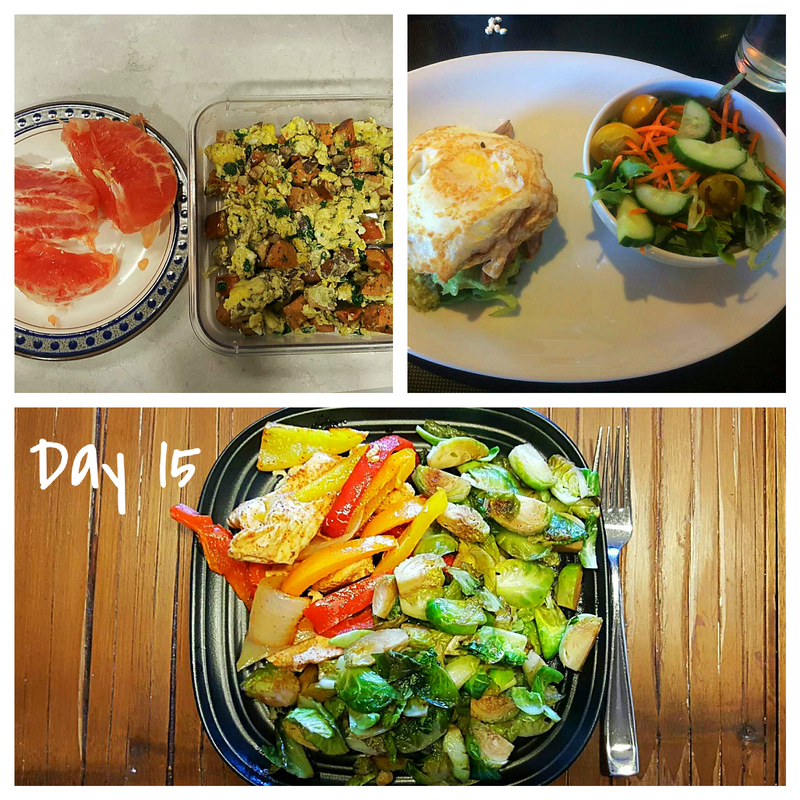 We’re past the halfway point of Whole30. 15 days seems like a really long time and but also not that long. It’s a weird amount of time. Here are our thoughts half way through. 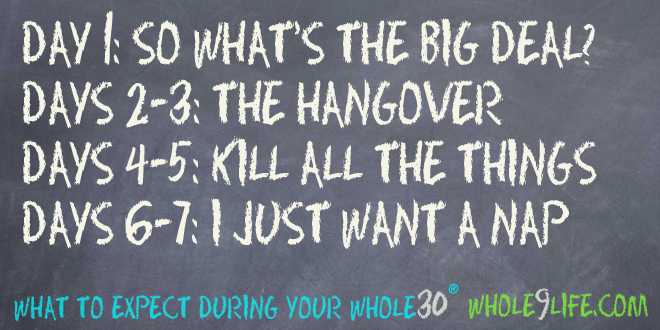 My thoughts: Really, Whole30 is not that hard. Still the hardest part is preparing food every night. Like actually cooking. But really, cooking actual dinner in kind of nice. 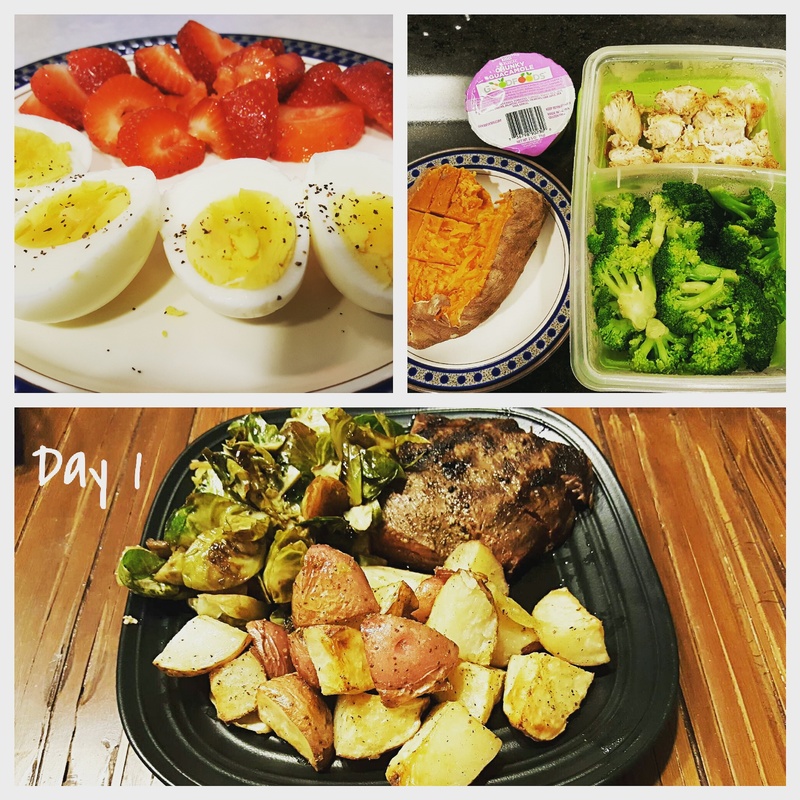 At this point, I’m kind of “used” to Whole30 – it’s only inconvenient if we want to go out to eat but other than that, I could totally see us eating like this for longer than 30 days. I mean cheese is good, but I don’t really miss it. I do miss ice cream. 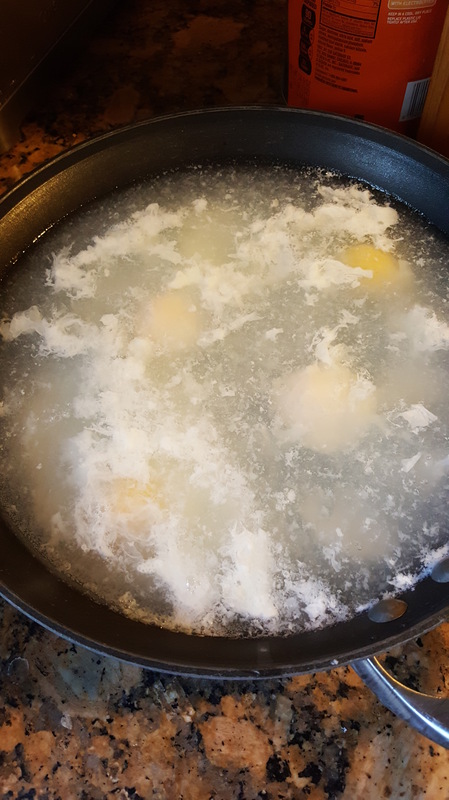 We don’t know how to effectively poach eggs. See pic below…this is not a joke. If I’m still hungry after dinner, I have a spoonful of almond butter (sometimes 2). 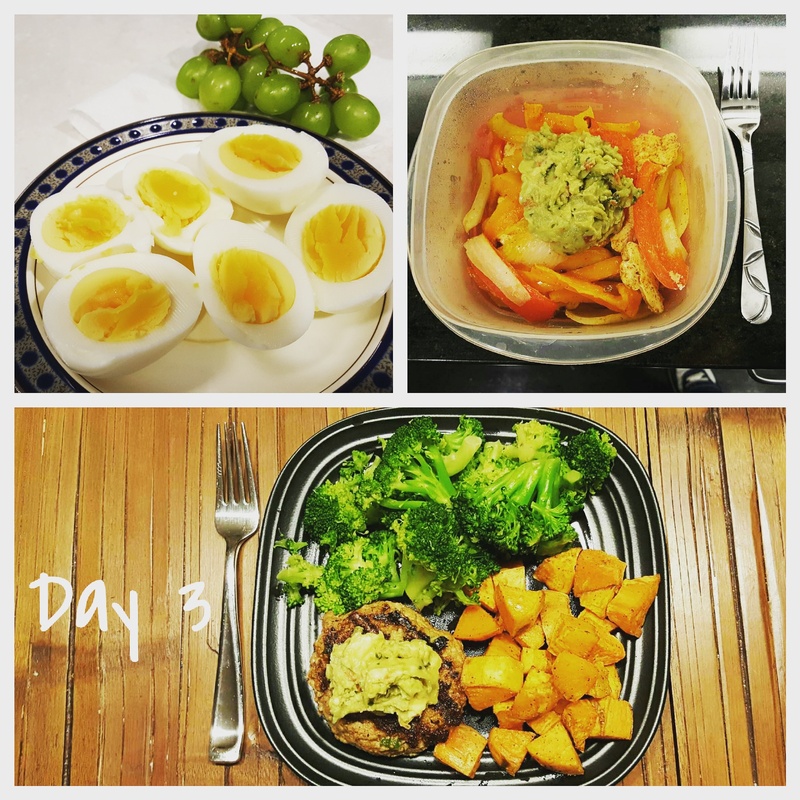 I definitely try to be careful here – Whole30 really stresses the importance of eating for fuel as opposed to habit so I really try to make sure I’m actually hungry first and only eat a little bit – almond butter packs a lot of energy in just 1 tablespoon. 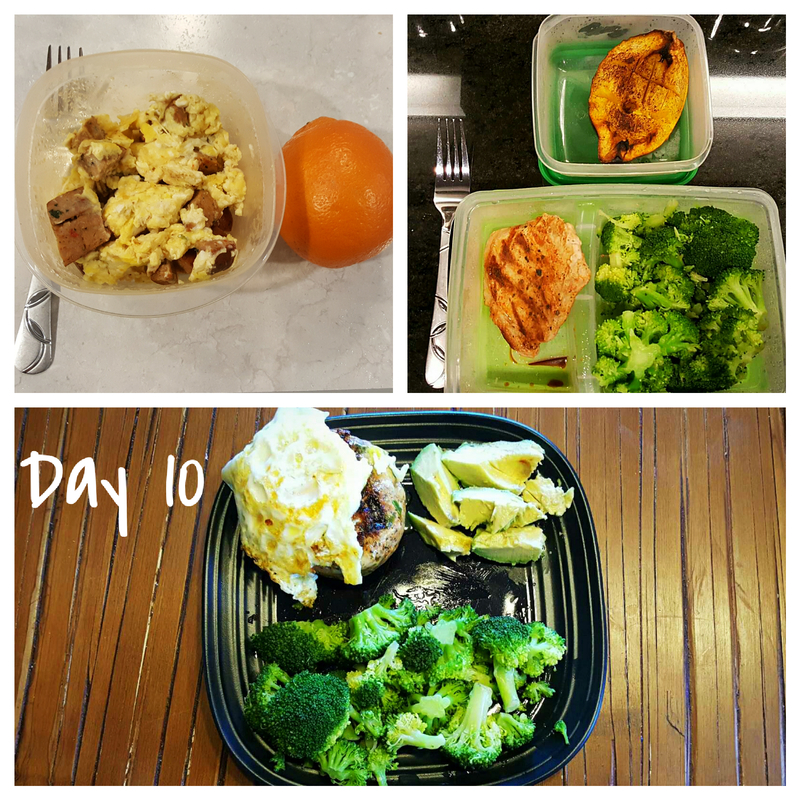 Our meals: Admittedly our meals are getting more repetitive because it’s easier and cheaper to just buy the same stuff over and over again and plus I don’t have the time or patience for meals that require more than 5 ingredients or 30 minutes of time. 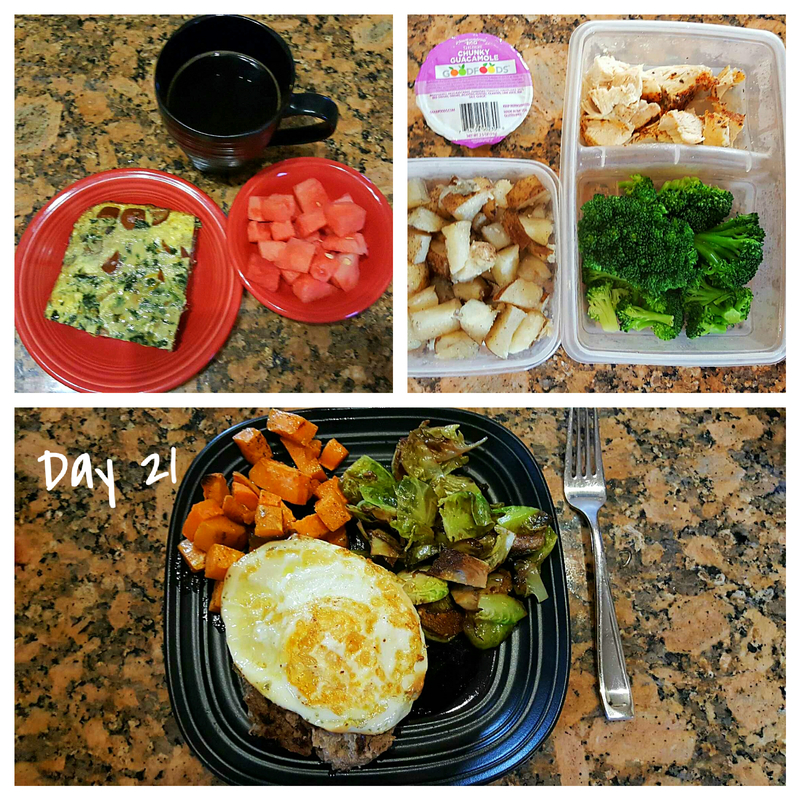 Lunch: Leftover dinner Day 10 plus sweet potato bites. Dinner: Lettuce tacos with ground beef taco meat, pico, salsa verde and guac. 50% of the way through and still going strong-ish. 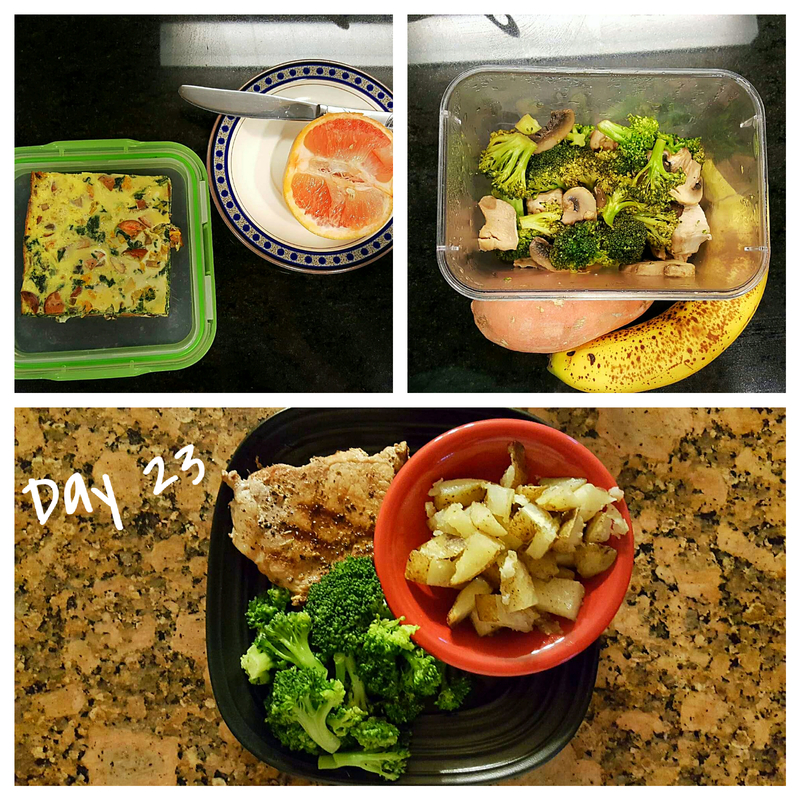 As many of you know, Blake and I started Whole30 last Tuesday… exactly 30 days before I turn 30. 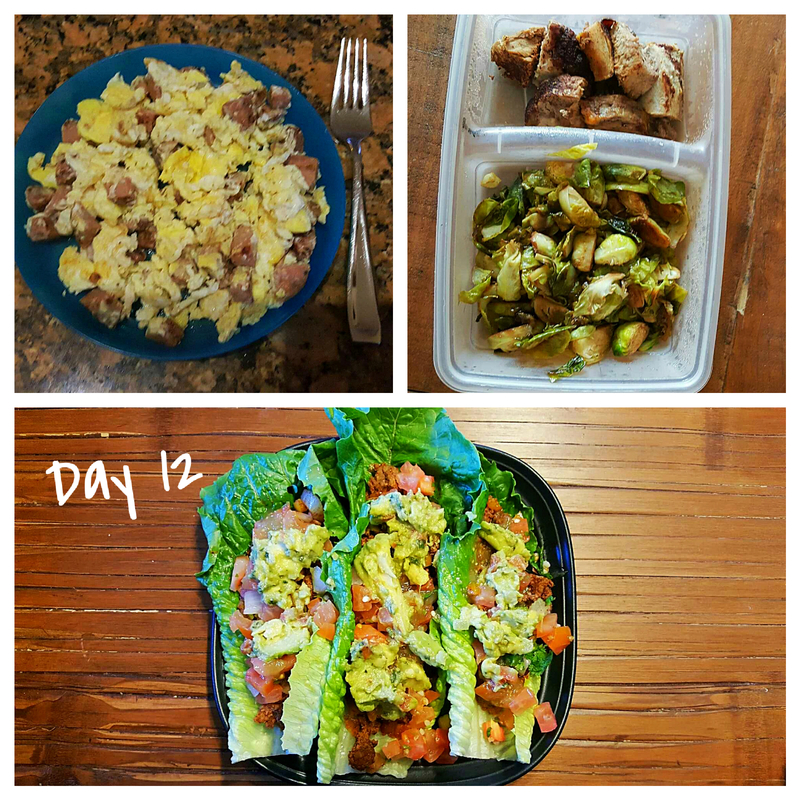 We are now 20% through the “experience” – here’s our feedback, what we’ve learned so far, and the meals we’ve been eating. 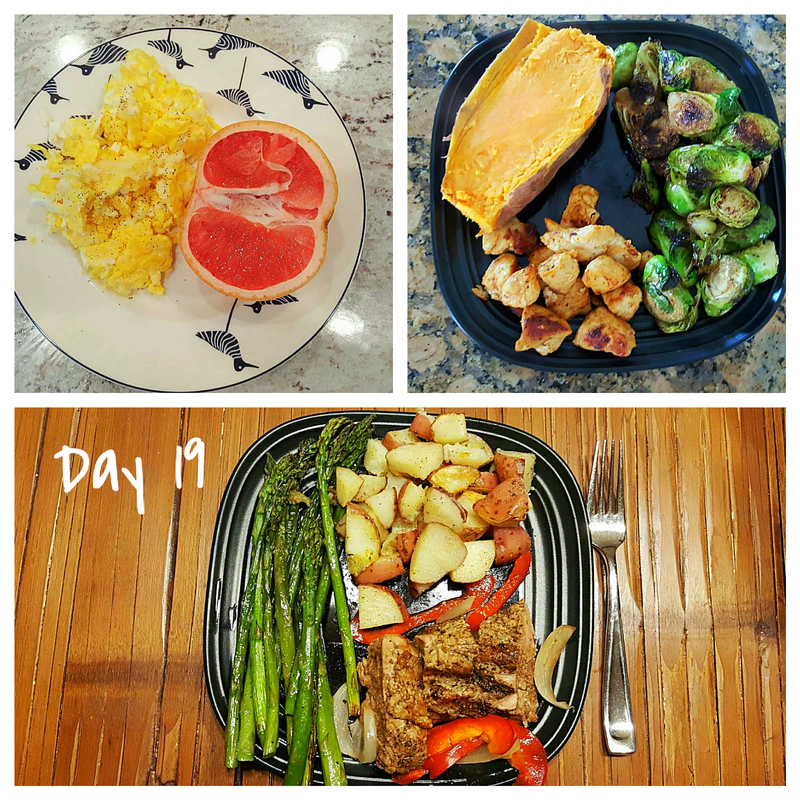 My thoughts: Whole30 has been a lot easier this time around than it was last time… mostly because I’m eating a wider variety of foods and Blake is doing it with me – it’s nice to have company. Preparing and cooking dinner every night takes a lot of time. It’s really challenging to feed a baby and a toddler while chopping up meat and veggies… if a recipe says the “prep time” is 10 minutes, I now quadruple that estimate for a more appropriate approximation. 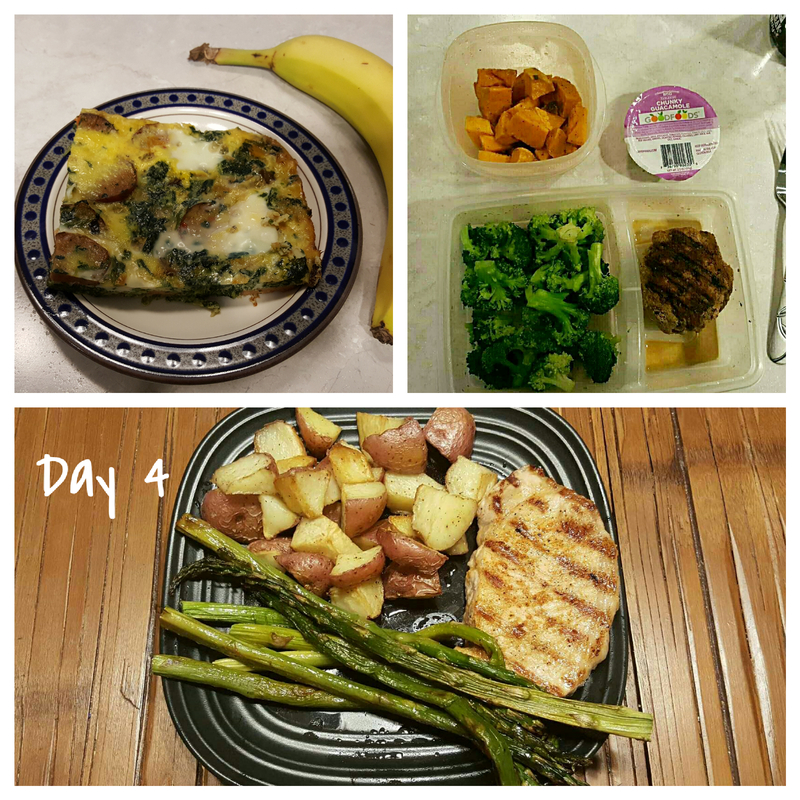 Also, if you make the whole meal prep/feeding kids challenge a game, it’s actually kind of fun (keys to the “game”: wash your hands every 2 minutes – onions, jalapeno, and raw meat don’t mix well with baby feeding, keep the knives out of toddler reach, and make sure the smoke alarm doesn’t go off because that terrifies everyone). The biggest change I’ve noticed since starting Whole30 is that I’m sleeping a lot better. Usually I wake up multiple times per night, but over the past few nights, I’ve been sleeping a lot more soundly. Last thought: I really have to pay attention to EVERYTHING I eat – multiple times I’ve caught myself right before “testing” the doneness of Ryan’s macaroni or licking my fingers after fixing Carter a PB&J… those little habits are hard to break and easy to overlook if I’m not paying attention. Ok, it’s me (Kat) again and before I move on I would like to thank Blake for his candid response. LOL. The key to Whole30 is preparation. 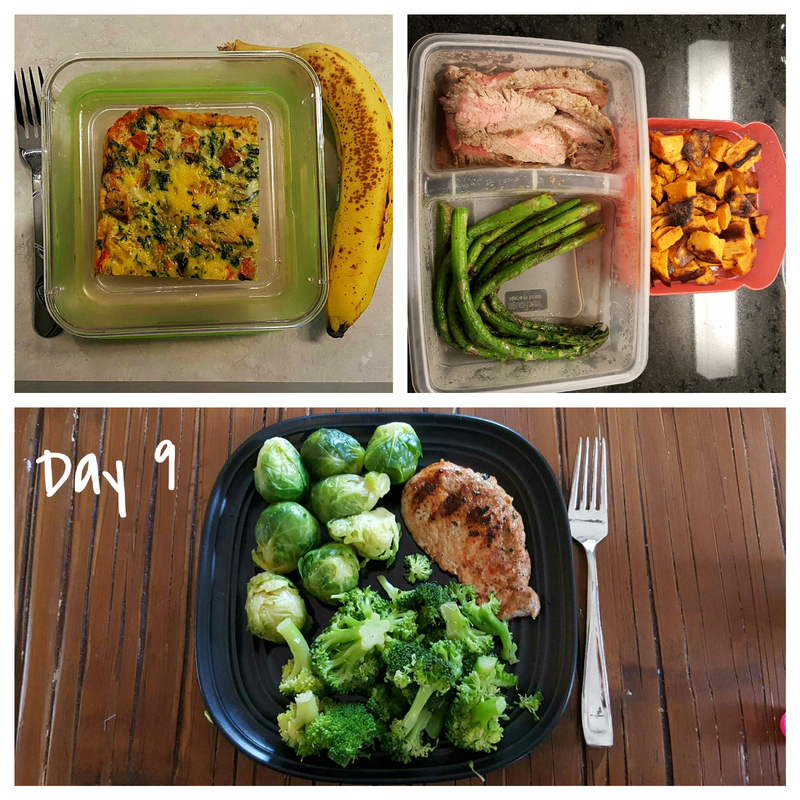 The best practice we’ve implemented is to immediately package our lunches for the next day when we finish cooking dinner (even before we actually eat dinner). 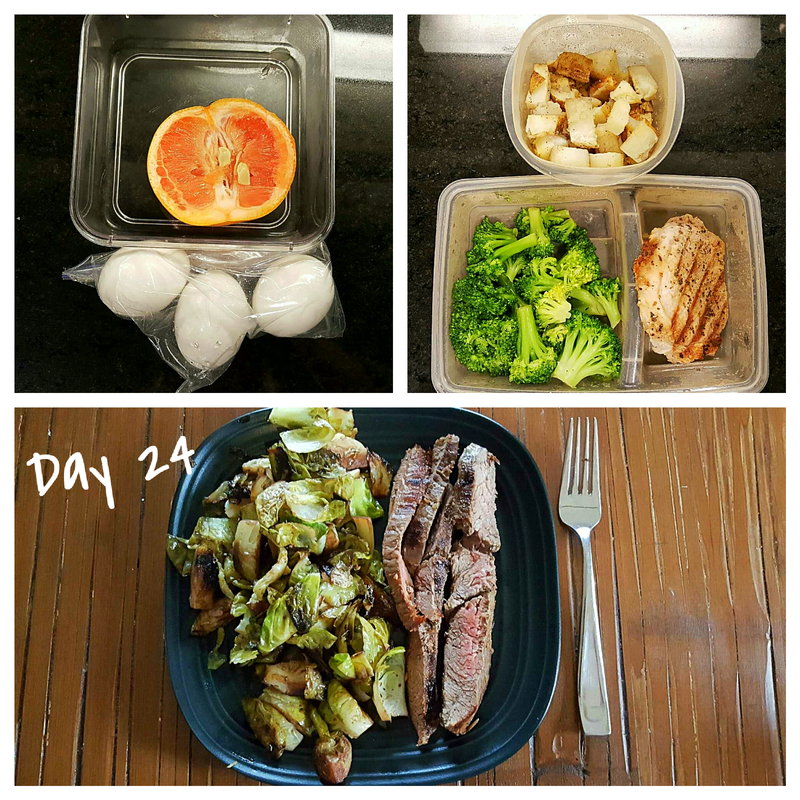 We’re used to taking leftovers for lunch but by packaging our lunch before we eat dinner we ensure we’re getting the proper serving of food for both meals. 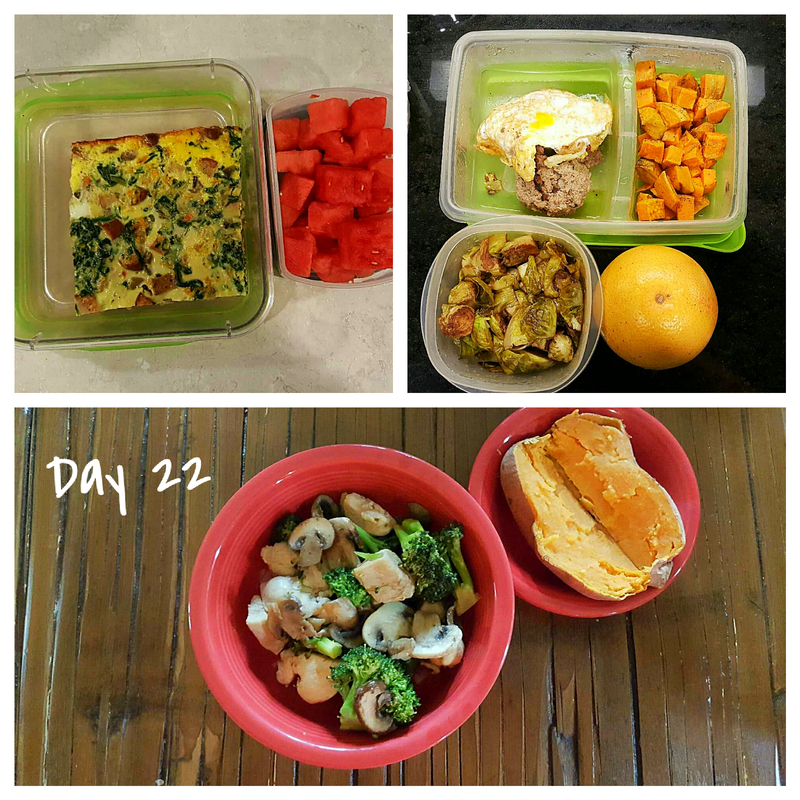 When you look at our meals below you’ll notice most lunches are simply leftovers of dinner the night before. Blake NEEDS more food. Obviously this is true – he’s a boy, he has a more strenuous job and he’s bigger than me. Blake becomes HANGRY if he isn’t consuming enough calories. 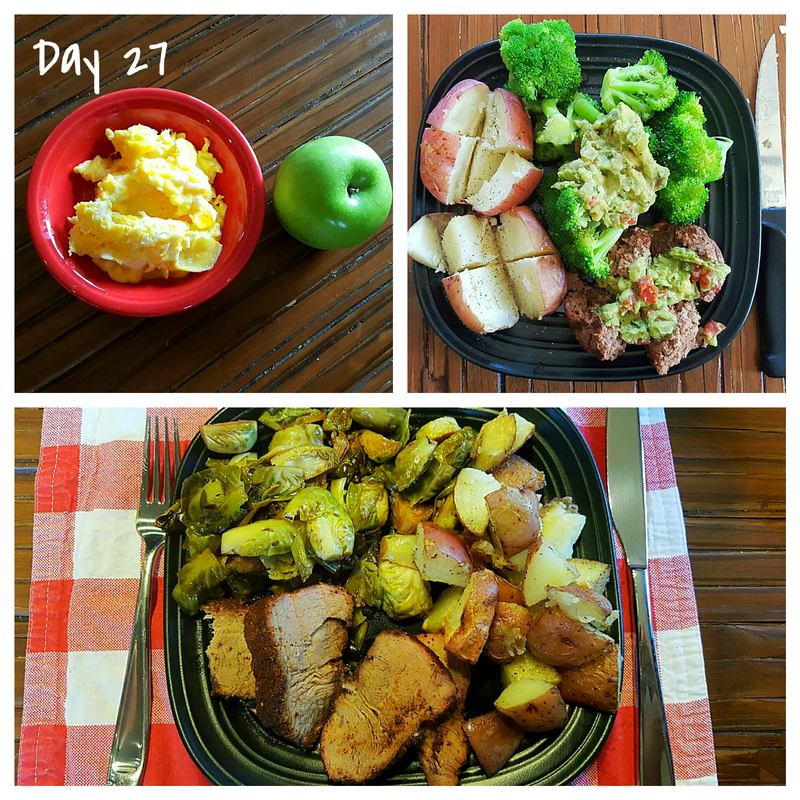 Whole30 has nothing to do with calories… you can basically eat as much as you want of the “compliant” foods but for planning purposes we bought a specific amount of food and didn’t take into account that Blake would NEED more so we had to make a end-of-week grocery store trip to get more starchy veggies/fruits (read: potatoes and bananas) and more protein (read: chicken and canned tuna). After adding a few extra servings of each macro (protein, carb, fat) Blake is a much nicer person. Cooking almost all meals requires a lot of dishes. Thankful for our dishwasher! Guacamole is good with everything. There are so many sneaky additives in seemingly normal food. Prepackaged lemon juice has sulfites. Every single vegetable broth at Kroger has added sugar. Most prepackaged deli meats (including sausage and bacon) have added sugar. 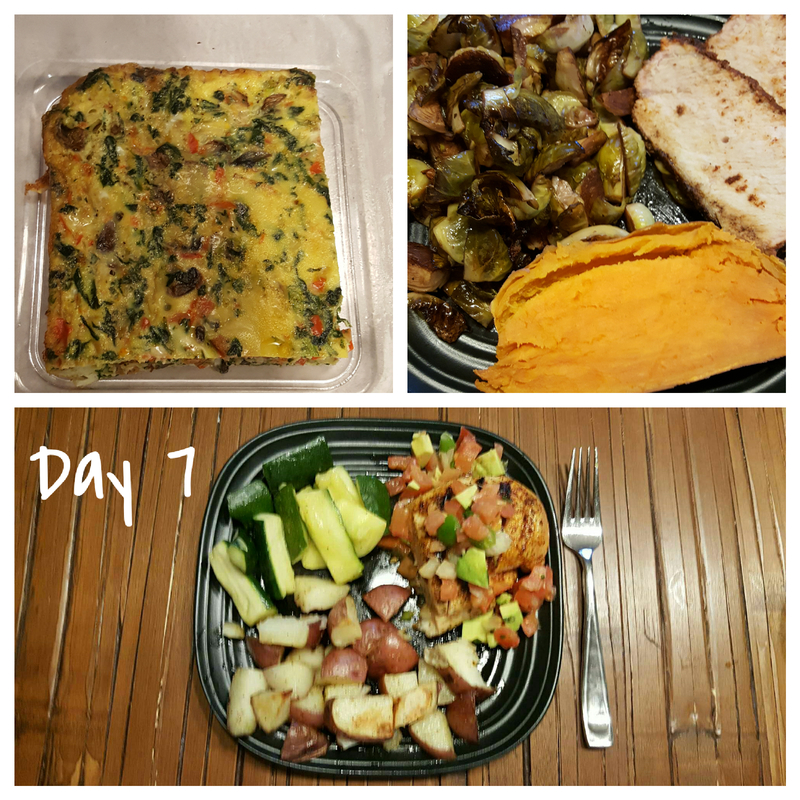 These are the primary meals we’ve eaten over the past 6 days. 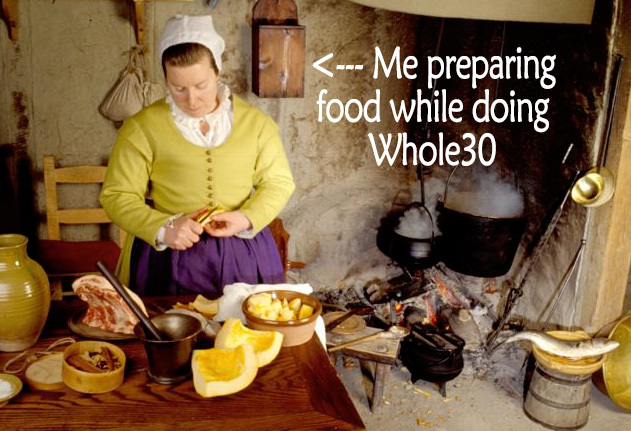 Whole30 discourages “snacking” unless we are truly hungry. I’ve added an extra piece of fruit to some lunches so I would make it to dinner time. 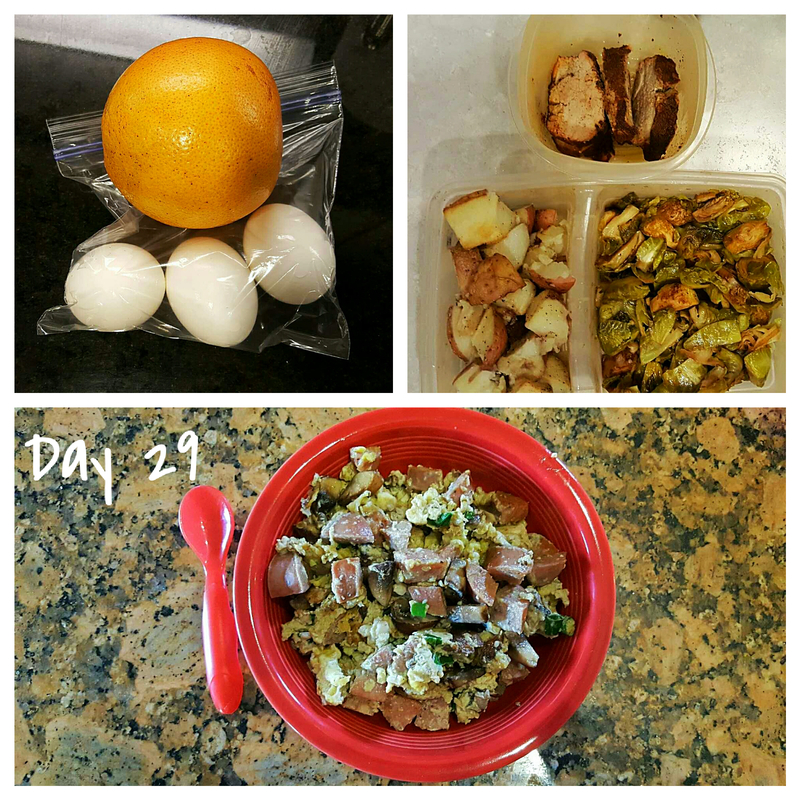 Blake has been adding one extra mini-meal of protein and starch (usually chicken/tuna + potato/apple). 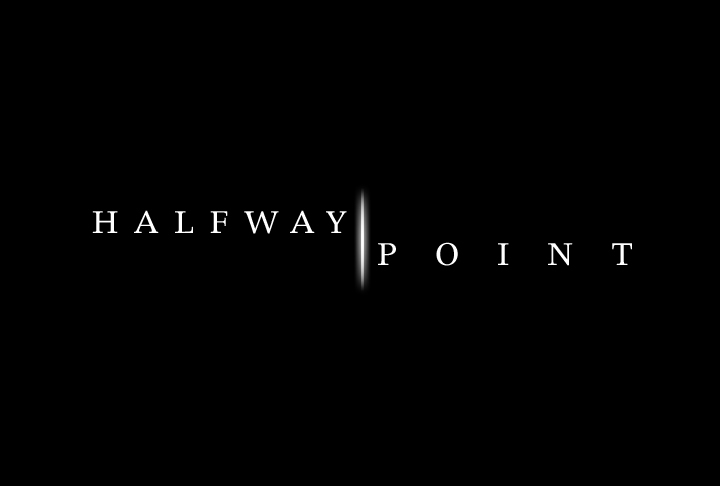 So, 20% of the way through and we’re still sticking with it. Our next update will come on Day 13 when we’re about 40% through. According to the Whole30 timeline we should be through the “hardest days” and on the verge of “boundless energy.” As parents to a 2.5 year old and an 8 month old, “boundless energy” seems about as real as the Easter Bunny. In a little over a month I turn 30. Kinda crazy. I certainly don’t feel 30 and based on the number of times I get carded I don’t look 21 so the fact that I’m actually going to be 30 is a little unbelievable but time doesn’t lie. Before I turn 30 I want to do something cool – a lot of people create a list of 30 things to do before turning 30 but I don’t have time for that… did I mention my birthday is just over a month away?? 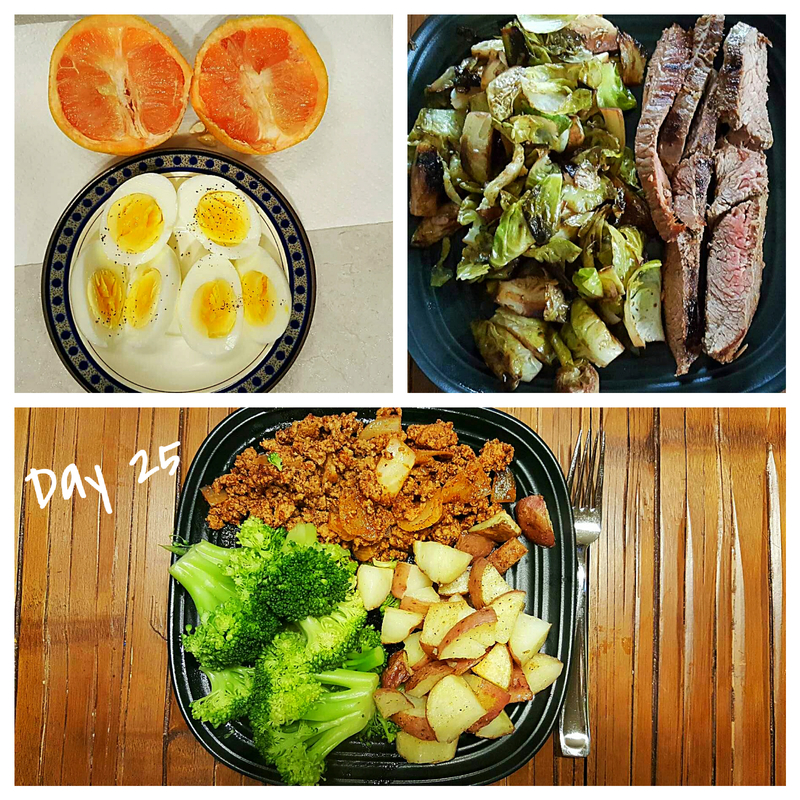 Then I had this thought: Whole30 in the 30 days before I turn 30. I like numbers. So once I thought this, it HAD to happen. You may remember I’ve done Whole30 once before. I’m up for the challenge again. 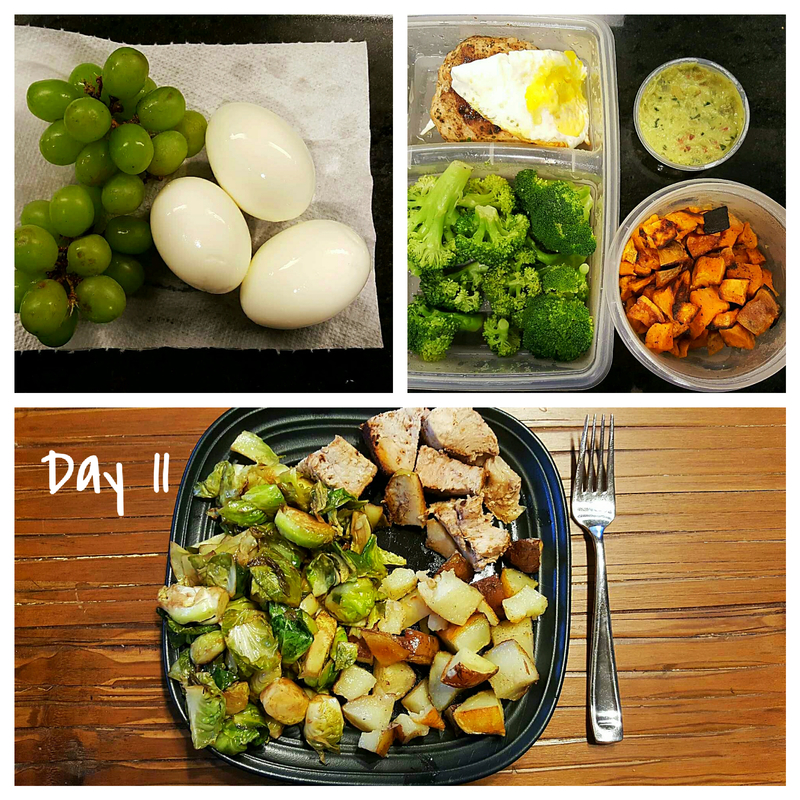 In approximately 4 days we will start this Whole30 “journey” together. Side note: anyone else think it’s weird how everything is a “journey” now. 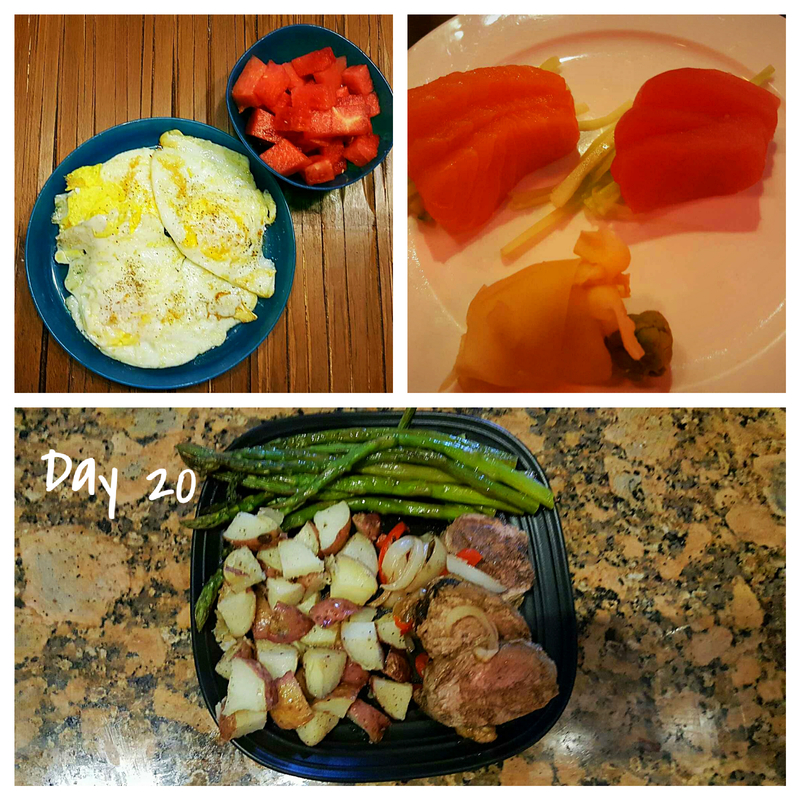 I don’t love it… I’ll try to not use the word “journey” when talking about our Whole30 “experience.” We’re going to follow ALL of the rules because if we don’t it’s not really Whole30, right? This means no workout supplements or Shakeology for the whole 30 days. You guys probably know we both drink Shakeology pretty much every day but it’s always good to take a break from the easy nutrition option and go for the real thing – real whole foods all day, ‘ery day. Blake also relies on his pre and post-workout shakes so this will be a change for him. Another rule: no beer (alas beer has gluten). Obviously I can go without beer (I’ve done it for 2 – 9 month intervals while pregnant with our babes) but still. Unlike last time, Blake and I will be documenting our journey experience primarily through my facebook “like” page but also occasionally here on the blog and on my personal facebook page so make sure to “like” my page and “friend” me if you want to follow along. I think one of the “unofficial” rules of Whole30 is to make sure EVERYONE knows you’re doing it so we’re just trying to cover our bases here. 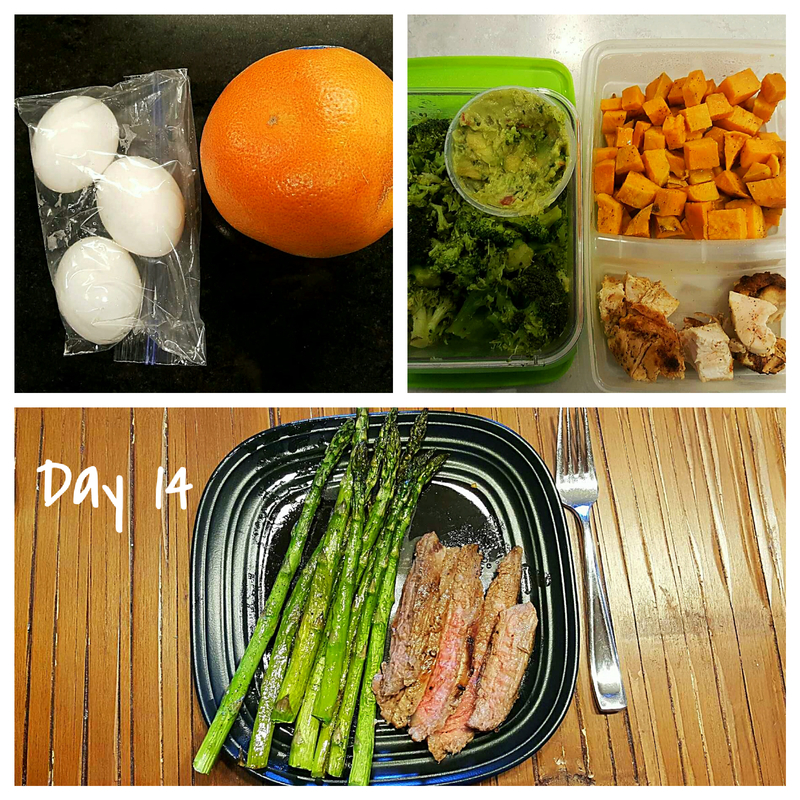 We’ll share what we’re eating (recipes), how we’re feeling, and general feedback. Here’s my main goal: to not feel like crap when I turn 30. I don’t necessarily feel like crap now, but I know I could feel better. 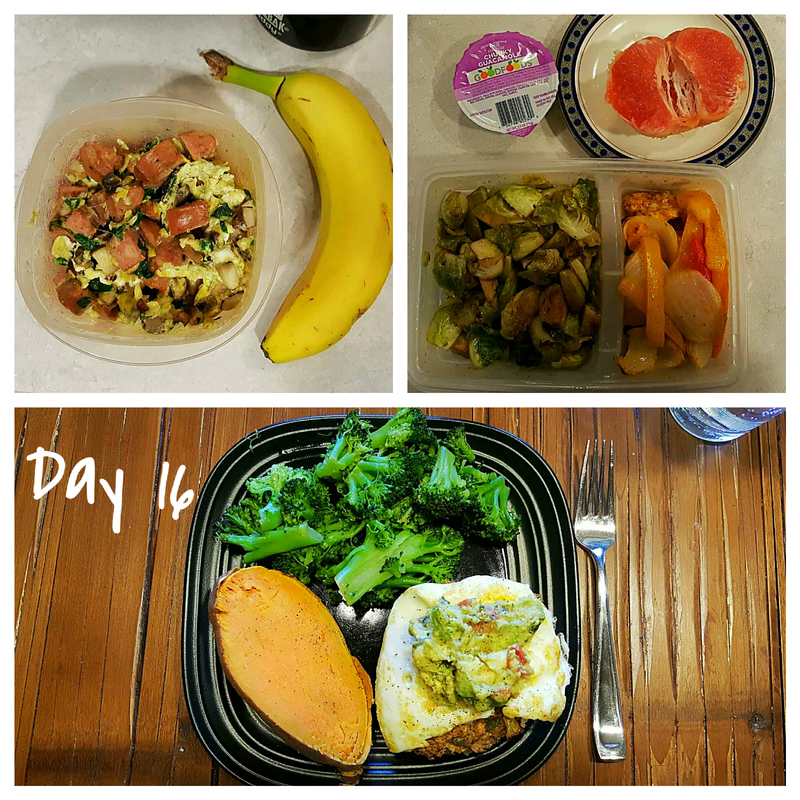 I tend to use being pregnant and breastfeeding as an excuse to eat what I want so I haven’t been the healthiest eater over the past year and can stand to make some drastic improvements to get back on track. Blake on the other hand eats 90% clean and is an excellent cook so I’m pretty excited to have him on my team in this… I’m preparing for gourmet Whole30 compliant meals. One last thing, we will both be working out while doing Whole30. Exercise is an ESSENTIAL part of Blake’s day. 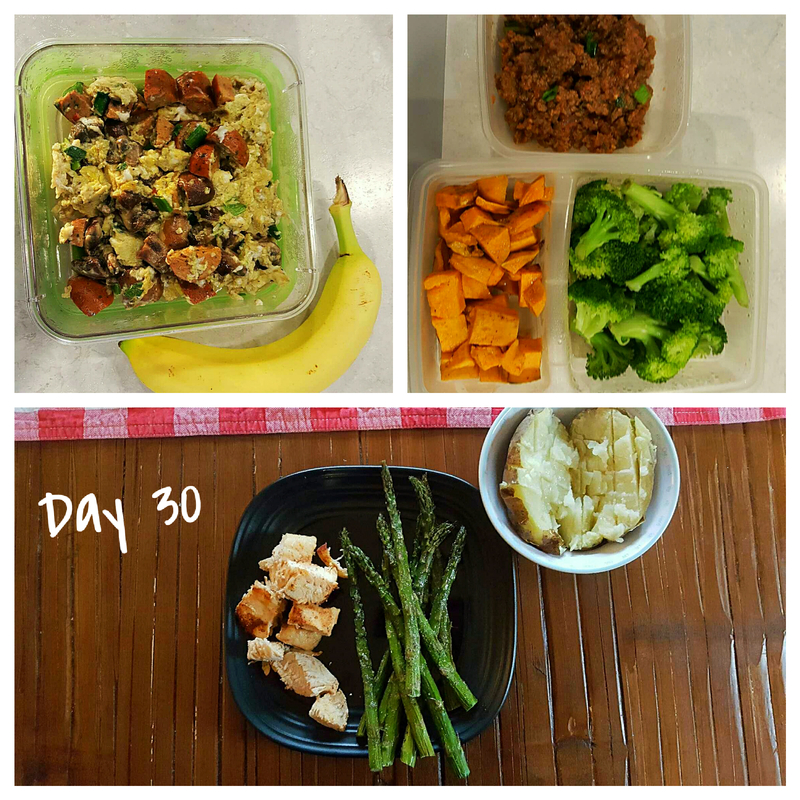 I could stand to use some improvement in the consistency department so I’m using the Whole30 experience to also get back into a consistent workout routine and really feel great when I hit the big 3-0… maybe I’ll even have some abs by then (one can dream… I mean, it might actually happen). For further clarity, we both do different workout programs using the same streaming service so no gyms or anything like that… if we’re going to be cooking all meals and by “we” I mean Blake, a’int nobody going to have time for extra hassle in the workout department. 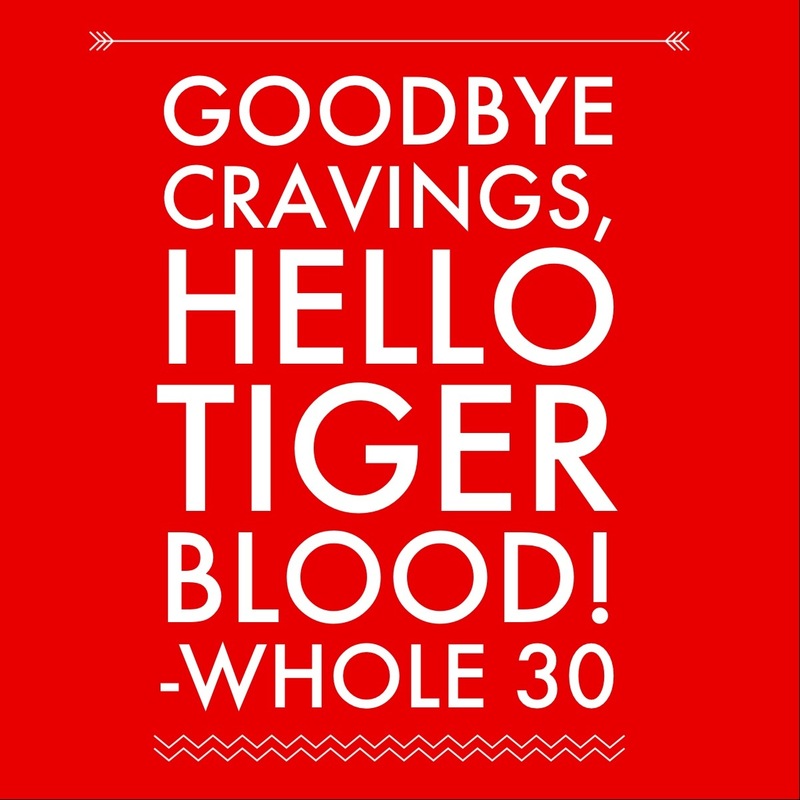 Can’t wait to keep you guys updated on Whole30 “experience! I’ve recently started sending weekly updates to our Sunday Life Group that include a summary of the Sunday sermon and a summary of our Life Group lesson. The goal is to keep everyone in the group in the loop even if they can’t make it to church every Sunday. I know it’s tough for a lot of people to make it to church every Sunday so I thought more people may benefit if I post my weekly updates here on the blog. Feel free to check in each week (I’ll try to get them posted by mid-week) or if you’d like to get added to my weekly email list, just shoot me a message – I’ll be happy to add you! The sermon on Sunday centered around stress management. Clay started the sermon by reviewing the hardships of Paul’s life on earth and the immense amount of stressful situations he was put in. He noted that Paul still lived a positive life because he was able to handle is stress well. Jesus says, “Come to me.” Often, prayer is our last resort instead of our first response to a stressful situation. By going to God in prayer we take our focus off of our problems and instead focus on God. Jesus says, “Take my yoke upon you.” In the Bible, yoke refers to someone (or sometimes a country) who is under control of another. Here, Jesus is saying “live under my control” – in other words, be more concerned about pleasing God than pleasing other people. This resonates well today as we have become a society with “approval addiction” – we are constantly thinking about what others think of us. We are in search of human approval. This creates a lot of unneeded stress. Instead of focusing on what others think of us, we should focus on what God thinks of us. Make it your mission to please one person – God. Jesus says, “Learn from me.” The New Testament is filled with many stories about Jesus but there is never a time where Jesus is panicked. Learn from Jesus but keeping a calm disposition – whenever you hear a frantic voice in your head, know that it is not the voice of God. The point of our life group lesson this past week was that the Holy Spirit empowers us to spread the gospel. The scripture is set during the 40 days Jesus was on Earth after he arose from the dead. He is encouraging the disciples to wait for the gift of the Holy Spirit to empower them as they spread the gospel to the ends of the Earth. Although Jesus was returning to Heaven, the Holy Spirit would remain with believers – living in them – and enabling them to accomplish God’s mission. It is important to remember that the Holy Spirit is within us as well. We are charged to spread the message of the gospel just like Jesus’ disciples. The scripture concluded with all of the disciples praying together. The power of group prayer is strong and helps to reinforce God’s purposes as opposed to personal agendas. – Accept the Mission – commit yourself to be His witness where you go and wherever He sends you. – Embrace the Gift – Begin each day by submitting to the Holy Spirit. Pray for wisdom, strength, and guidance. Attention! New Accountability Group – The Fight Club! I’m beyond excited to host a new group focused on empowerment, mindset, and fight club style sweating! 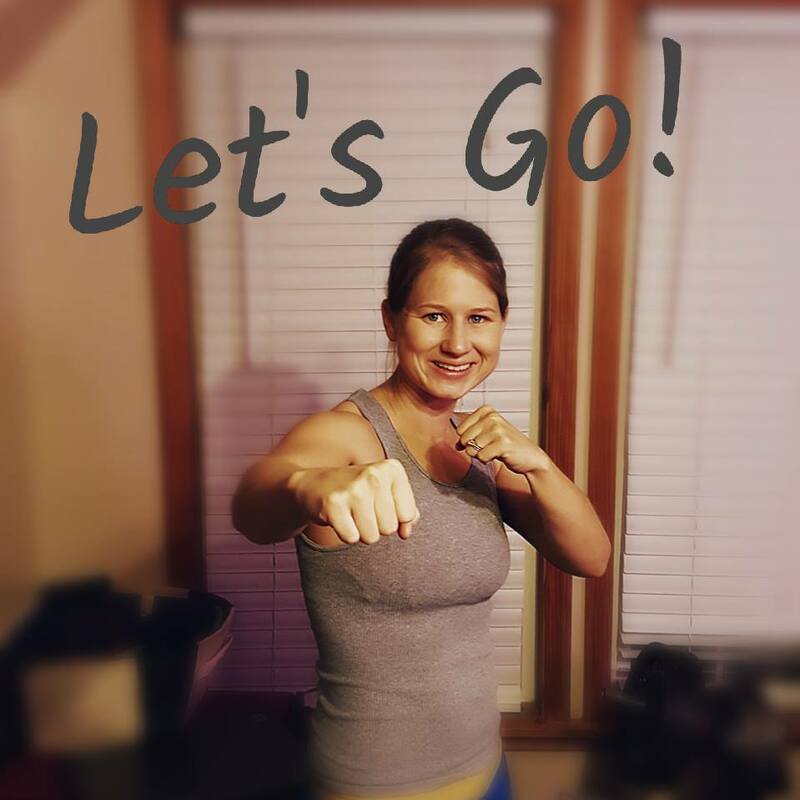 This 30 minute a day program is inspired by MMA and kickboxing. Just 30 minutes a day to feel like a bada$$ and create knockout results. Our app-based accountability group will last just 5 weeks including a prep week so that YOU will be set up for success. We will focus on mindset, menu planning, healthy meals and of course MMA style movement! Here are all the details of this exclusive Core de Force Fight Club Group starting November 14, 2016! First, it starts NOW with YOUR commitment! I am personally committed to supporting up to 20 fighters so grab a spot now! For 30 days we will focus on becoming stronger mentally and physically! You will go into the holidays HEALTHIER, HAPPIER, and more physically FIT! It is my honor and pleasure to help you reach your goals and become the best version of yourself! 💥 I need 30 minutes per day from you for exercise. That’s it. You can do this in the comfort of your own home. NO equipment needed, just a small space. 💥 I will provide personal and group-based accountability and support. 💥Our EXCLUSIVE and PRIVATE app based accountability group will allow you to log your results and track your progress. This will help us all stay focused daily and bring our best FIGHT! 💥 The exclusive knockout “holding group” is already set up and ready for you now. As soon as you commit, I’ll add you to this group (prior to Nov 14). This will get us prepped and set up for optimal success when we launch on the 14th. Imagine going into the holiday season (before New Years) in the best shape of your LIFE. Wouldn’t that feel great? Feeling confident and fit instead of miserable and bloated. How awesome would that be! This is definitely the most excited I’ve ever been for a new group. Don’t put this off! 30 minutes is all it takes. You have time. You are worth the change! The time is NOW! Please send me a message saying “I am IN” if you’re interested in being one of 20 and hearing the details! Can’t wait to fight side by side with you! The sermon on Sunday centered around Attitude and was a great follow up to last weeks lesson on encouragement. In the scripture, Paul is encouraging Thessalonian Christians and describing the type of attitude they should have. Ultimately, an attitude that is joyful, prayerful, and thankful is God’s will for you too. The ability to maintain a joyful attitude “always” is rooted in faith. Although our circumstances change and may affect our happiness, our joy is rooted in Christ and therefore should not be impacted by circumstances. Herb noted that joy can be reflected in how often we smile. Spreading our joy (and our smile) to others will spread the joy of Christ. We should also have a prayerful attitude. While the scripture notes that we should pray “continuously,” Herb pointed out that this does not mean literally pray every second of the day. Instead, we should be in a spirit of prayer. Lastly, a thankful attitude is crucial to maintain perspective. Again, the scripture calls for us to give thanks “in all circumstances.” This can be tough because on the outside, it doesn’t seem like “all circumstances” are good; however, we must maintain the belief that God is in control and he is working things together for the good even when we can’t see it. John Maxwell says, “People may hear your words, but they feel your attitude.” As believers, our attitude impacts others – it’s important that impact we have reflects Christ. – Stay in a spirit of prayer – 2 specific items we can continually pray about are the racial divide in our country and that lost people come to know Christ. The point of our life group lesson this past week was each of us must share the gospel. The scripture focused on Paul’s letter to Timothy as he helped him understand the Christian life and his role as a minister. In life, there are tasks that are important and tasks that are urgent. Rarely does something fall in both categories. Our call to share the gospel with others does fall into both categories as important andurgent. We should not hoard the good news but instead share it with others – openly and often. As a group we talked about modeling a Christian life and building relationships with others as avenues to share the gospel. Since this is one of the most important things we can do in life, we should be putting more time and energy towards this goal. – Pray for an opportunity to share the gospel with someone else and the boldness and wisdom to take advantage of that opportunity. The sermon focused on Barnabas and how his encouragement of others helped grow the church. Like Barnabas, we should also be encouragers of others. An encourager sees potential in others. We should not show favoritism but instead assign EVERYONE a high value – treat everyone as a “10.” Clay referenced Proverbs 15:23 which says: “How good is a timely word.” By placing value on others and providing encouragement along the way, we can leave a positive impact on the lives of others. In addition to seeing potential in others, an encourager also makes investments in others. As Christians we should strive to make our biggest investments in the lives others. Our goal should be to impact people (as opposed to merely impress people). – Join the “Compliment Club”: Give 1 sincere compliment to 2 people every day. – Write a hand written note to someone with the intentional effort to encourage them. Our life group lesson focused on Paul’s concern for Jews and their possible misunderstanding of righteousness and how to be saved. This concern is still valid today as many people still believe they can earn God’s favor. Paul noted that to become a Christian we must declare that Jesus is Lord and believe in our hearts that God raised him from the dead. Both the inward conviction (believing with the heart) and the outward expression (confessing with the mouth) are important. On a day-to-day basis these two play out in how we center our lives and decisions around Him. – Make time this week to asses your relationship with Jesus. Are you growing closer to Him? Are you studying His Word? Are you sharing the truth of the gospel with others? There are a lot of ways Blake and I differ in personality. To name a few: I’m calm under pressure, Blake is… less calm; I’m not great at showing emotion, Blake wears his emotions on his sleeve. In most ways these basic personality differences complement each other and make us stronger as a unit. While we definitely have differences in our personalities, our view points on most major issues align. We share the same religious, spiritual and political beliefs. We have almost identical priorities. In fact, off the top of my head I can only think of two areas of disagreement (although I’m sure we will stumble upon more throughout life). The first point of contention is relatively minor. It involves the importance of condiments to overall food taste. I am not, and have never been, a fan of condiments. No ketchup, mustard, mayo, dressing or hot sauce for me… ever. Recently I’ve accepted barbecue sauce in limited circumstances but generally speaking I’m not a “dipper.” I don’t need the flavor enhancement and I don’t want it. I can taste a hint of mayo in the cheesiest of pimento cheeses. I cannot handle the hot of hot sauce. Blake, on the other hand, puts sauce on EVERYTHING. A $50 steak NEEDS ketchup. We buy hot sauce by the gallon. In my opinion, it’s a little ridiculous BUT we agree to disagree. No big deal… very little impact on our relationship. The other point of contention is substantially larger. Blake is a UNC fan, I am a die hard Duke fan. Still to this day I don’t know how we’ve made it work. I was born and raised a Duke fan. The walls of my childhood bedroom were literally covered in Duke memorabilia and posters. One of the my biggest disappointments in life was when I found out it actually did make the most financial sense for me to attend UNC-Chapel Hill for college (gasp! )… yeah it was dramatic. Throughout my 4 years at UNC I stayed strong to my roots and continued to pull for the Blue Devils. I will NEVER change. Blake moved to NC when he as in elementary school. Unfortunately, his russian roulette method of choosing a NC team to pull for landed him with the Tar Holes Heels. Tragic. While he hasn’t been a life-long fan, he does have a solid 20 years of fandom under his belt and seems uninterested in changing his allegiance. Sadly, he most likely will NEVER change (although I haven’t given up total hope)! When we started dating, we were aware of this glaring difference in opinion. We found out quickly we could not hold a calm conversation where either team was involved… if the conversation was about both teams it ended in a heated and unresolved argument every time. When college basketball season starts I can feel the tension build. Duke and UNC are guaranteed to play each other twice per year… sometimes three times (thankfully they have yet to meet up 4 times in any given year). When we got married we knew this huge point of contention needed to be addressed. We do have to watch “the big game” in different rooms. We’ve tried to watch it together, all attempts have been unsuccessful. We are both logical and fairly grounded but when it comes to The Rivalry, neither of us are graceful in our disagreement. The phrase agree to disagree doesn’t seem hostile enough.